I found this recipe for Lemon and Garlic-Crumb Shrimp in the Weight Watchers Weekly that I get at Weight Watchers meetings. This one looked particularly good to me because I love seafood and know that most seafood, if prepared the right way, can be very healthy for you. Coat foil with cooking spray. Sprinkle with lemon juice, 1 t. oil, 1/4 t. salt, and pepper. 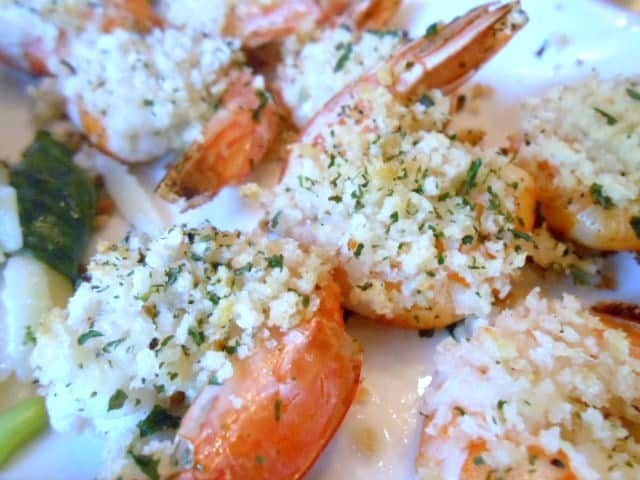 Toss shrimp until coated with lemon mixture. 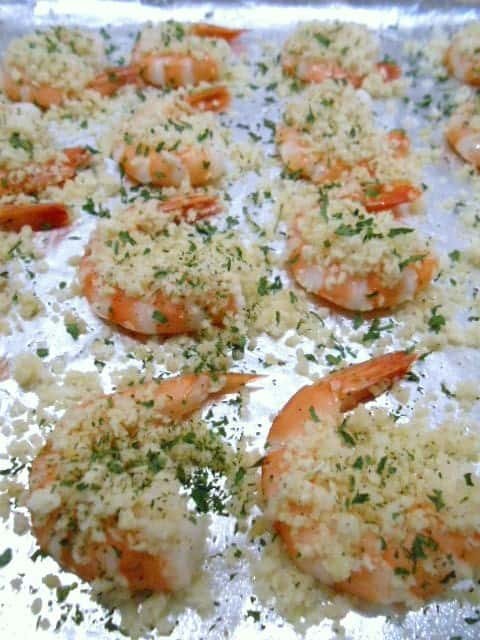 Spread in a single layer, leaving space between each shrimp. 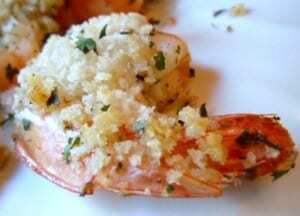 In a small bowl, combine bread crumbs, remaining t. oil, remaining 1/4 t. salt, garlic, and lemon zest (if you have it). Curl shrimp tails to heads to form a closed circle (doesn't have to be completely closed; just do the best you can). 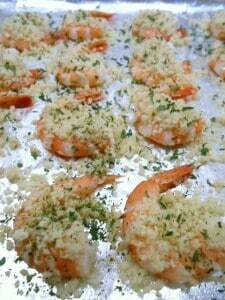 Spoon a heaping t. of the crumb mixture in the center of each shrimp. 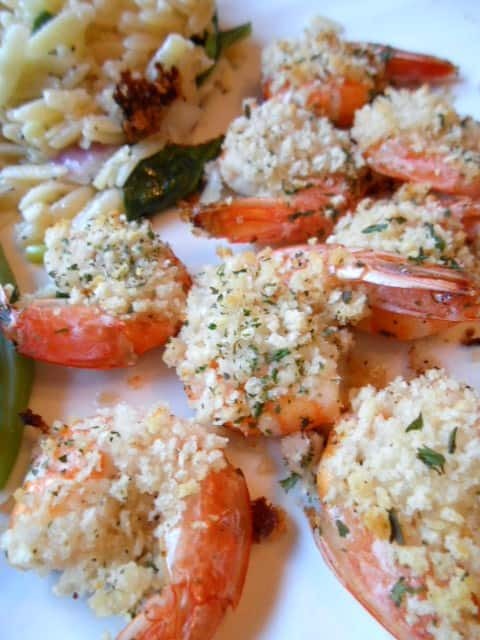 Bake until bread crumbs are golden and shrimp are cooked through, about 8 to 10 minutes. 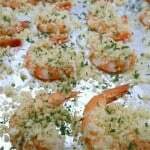 The shrimp turned out really good, but I did not read the instructions closely enough and I used frozen shrimp, thawed. Turns out the frozen shrimp was pre-cooked. So after cooking in the oven for 10 minutes, the shrimp was a little chewy. Lesson learned!! Only use uncooked shrimp, as the instructions indicate! Also, my recommendation would be to use large or jumbo size shrimp. The shrimp seemed to shrink after baking it. Maybe it was my imagination and I was just really hungry, but it just didn’t look as large after cooking it. I served the shrimp with steamed green beans and cooked orzo mixed with a little bit of olive oil, chopped red onions, spinach leaves, and a little garlic powder. Mmmmm Mmmmm! It was a tasty combination! 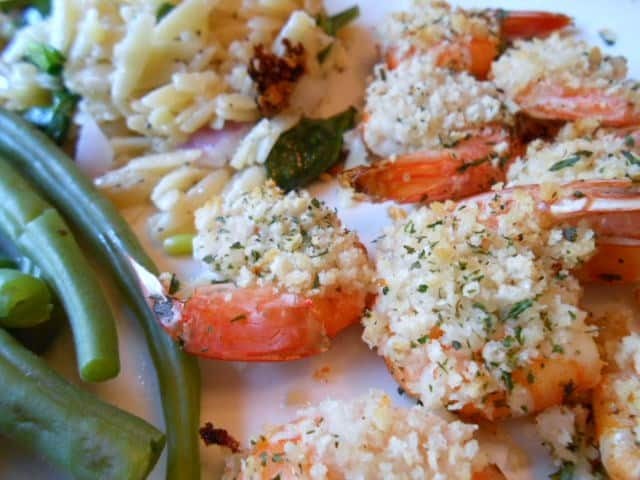 This was a very easy-to-make, quick, delicious, and healthy dinner! 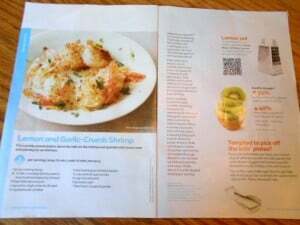 And with only 5 Weight Watchers Plus Points Value, you might even be able to eat dessert! !